Saturday June, 4th 2012 Many continue to struggle with speaking solely through love and kindness, but there are many more of us among the ground crew that can still lead by example helping those others still struggling to catch up, simply by responding in kindness and only to those very specific points of which are among those frequencies of love and acceptance, without judgment. As we respond in gratitude, and only giving energy towards those very points of others still in the spectrum of love and acceptance, we then own the entire playing field. The best way to stop the hostility between others posting is to NOT give any attention to their negativity. Even if responding in kindness to these unpleasant remarks, we are still fueling the life force of the original negative thoughts and remarks. To completely ignore them will absolutely starve these thought forms from growing in strength at all. So if someone says, "You're an idiot!" The best response is no response, but if someone says, "I understand and agree with the part about hypothetical topic, but you're an idiot!" The best response is elaborate on this resonating hypothetical topic, yet still giving absolutely no fuel to the negativity. When people are stuck in an emotional loop that they have yet to resolve, they will only continue to fuel that discourse, even if only energetically, but I can assure you that you are being effected by this magnetic resonance being thrown at you and not only that, but it is affecting a vast range of others in the process, even if said person does not extend this negative energy through verbiage or in writing. It is the thoughts that contain the most power, not the words, although it is true that providing the verbiage or a written exchange also is manifesting solidity and an increased density to the thought, but the point here is to starve these negative thoughts of any fuel whatsoever. It is one thing to speak of kindness as we shine our own light and messages, both online and in person, but it takes a master of one's thoughts to truly maintain purity in correspondence of the magnetic resonance between two or more others, regardless of where they are located as this magnetic resonance carries as infinitely far in distance as one's imagination and deliberate intent or divine willpower. It is important to realize that when those struggling to catch up respond in such unpleasant ways, they are not responding directly to YOUr remarks -they are not responding to YOUr energy at all. When one looks at another, they only see a reflection of themselves, at least in the energetic sense. What this does is it forces them to face all that are as they see the energy you are portraying in said moment, but you all must know that it truly has NOT to do with you at all. They are being forced to look at something that they are not ready to face. It only has to do with their own desires to learn this lesson they are wishing to learn, whether they are aware of why this happening or not. This is simply how the universe works. It is the manifestation of their recurring/looped vibrations and the Law of Attraction that brings them to either understand their behavior, or to continue in the same emotional loop. The very best way to address this situation is to treat them as you would yourself. Remember the the golden rule, "Do unto others as you would have them do unto you." They are essentially part of us -an extension of ourselves in the grand scheme of things, yes? When you think unpleasant thoughts internally within your own discernment, do you respond in hostility towards yourself? Or, do you instantly discard that negative thought process and change it to something pleasant? This very same procedure of weeding out the emotional blocks within and those preprogrammed habitual responses applies to others just the same as you work on your own self discovery and ownership of your mind's perception of all. It is most important to be gracious in response to every kindness bestowed upon you, giving fuel then to those frequencies of love and respect and of divine will to be in joy. Always respond in gratitude as in doing so we then begin giving fuel to an even brighter blazing sun of kindness than otherwise before, exponentially so as whenever one says yes to love, they are the power of one, but when 2 say yes to love, they are the power of 10. When 10 say yes to love, the number is already an incalculably expansive number. Let me explain. With 2 souls saying yes to love, 2 souls resonate as 10, but when 10 souls say yes to love, it is not as you may guess 100, because each soul resonates with each other soul individually, and so as a whole, this number is much closer to 1000 than 100. That is how an exponential curve works. However, when just one soul steps out of love and says to another, "That is NOT love!" ALL are affected, just as the "One Rotten Apple" rule. Do not give fuel to those negative comments, even if correcting with love as so many are not quite ready to hear this correction, so the best thing you can do for them is to either only show them love or starve them of the fuel they are aspiring for in the form of attention. So respond instead only to those comments that uplifted your spirits as the same will be so for others, and exponentially so! So many are still infatuated with protesting the wrongs being done to us all in the many forms of oppression, but if we simply chose NOT to accept such things -NOT to fuel their agenda -NOT to resonate as such... Monitor and master your thoughts, and not only will you will have the foresight of knowing your every coming emotion thereafter, but you will manifest your every desire. The birthing of this next cycle of creation has occurred. No longer do we need to wait through such gestation periods to manifest our every desire. It is only the faith in one's own deliberate intent and that of the natural laws of the universe in which our greatest desires will be fulfilled. The previous cycle of creation is quickly crumbling beneath the vast amounts of love being poured onto our dearest Gaia's body, from three incredibly powerful forces; The ever increasing Galactic Alignment, the Angels/Star People blasting away love and joy and beauty unto the Planet and from our collective consciousness as a whole; our divine willpower. We, the ground crew are growing in numbers and in strength as more and more become receptive. This is a time to be vigilant in owning your thoughts as each and every thought has a much greater source of power behind it; much greater than we have grown to be accustomed to in this lifetime. The more one stays in the realm of love and joy and beauty, the more we help birth this New Earth Sun through this collaboration of souls we are as a collective consciousness, but as each and every single one of us continues to push the pace of his/her own evolutionary path, these individuals become incredibly powerful light houses amongst the masses, bringing divine will to this reality in that even a single being, through their own infinitely powerful mind along with their divine willpower to see their every desire reach fruition, are lighting the way for so many others. 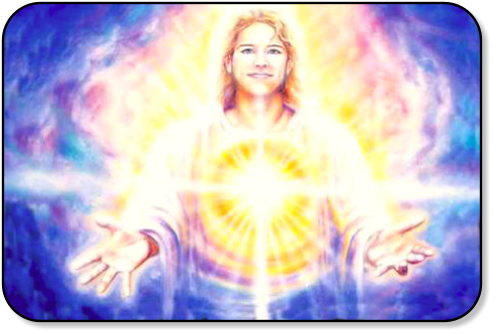 In fact the term "light houses" barely does justice to those feeling love and joy in their sacred heart center as a single soul can envelope the entire planet in their magnetic field. It is only a matter of your infinitely powerful mind, the divine willpower you bring in from your highest selves and the deliberate intent of willing it to be so. We are all loved equally, no one more than another, no matter our evolutionary path. We are all on the same team in birthing this new cycle of creation. The angels do not see those imperfections that you see. They see you as divine perfection, each and every one of you! -An individual piece of the puzzle that makes up all of creation. Only you get to be you -And what a gift that is?! There is only one of you. There will only ever be one of you, and together we are manifesting this New Earth Sun as a collective consciousness, but you, my ever so lovely and beautiful friends… you are irreplaceable! Only you can shine your light. Only you can sing your song. So be that symphony that you were born to be! With that said, we are each and every one of us responsible for our own contribution to the collective in what we decide to co-create. We are responsible for what we say and what we do. We are not responsible for what others say and do in their own path of evolution. We each and every one of us have our own illusion that we are often struggling to let go of on our path out of duality. There is only one truth, and even as I speak/write here, I know I too am speaking/writing from a place of duality as well, because so long as we are incarnate in the 3rd and 4th dimensions, we still retain this duality. I'm not saying I have the perfect answer, but what I AM saying is that THE ONLY TRUE RIGHT ANSWER IS FOUND WITHIN each and every one of our OWN INDIVIDUAL HEARTS. With that said, when we read something we do not resonate with, it is our responsibility as way-showers to respond in kindness and compassion -Or NOT at all. This is how we contribute to the collective raising of vibrations, whether it be for Gaia directly, for another soul and/or humanity alike, or for our own personal hearts and perspective. On the other side of the coin, it is important to realize that when people are responding in lower vibrations to what they are perceiving, it is their own struggle within their own hearts to discern whatever it is they are working through and even though it may seem as though it is a direct attack towards yourself, it is only a response to what they see energetically and/or vibrationally and it has absolutely nothing to do with yourself and everything to do with their very own conflicts within. So I say again, when someone speaks in a derogatory manner towards you, it is so very important to realize that they are only working through a conflict within themselves, whether they are denying a particular lesson, or in the process of working through said lesson, it is their lesson and theirs alone. So when you read anything, or see anyone, whether their statements are derogatory or pleasant, remember their statements and actions have ONLY to do with their own personal evolution and growth and it is your responsibility to choose whether you wish to contribute to all things of love and joy and bliss and beauty and peace and harmony, or to contribute vibrationally and energetically in conflict of those things. It is each and every one of our personal responsibility to choose to respond in kindness and compassion. It is our own choice to choose happiness and beyond our happiness, we can choose to have the faith that our happiness will continue beyond one moment to the next. However, any uneasiness that arises from what YOU perceive in other souls or others writings is part of you and you alone. The process of moving forward in the face of fear is not about letting it go of your fears and all about transmuting these fears then to faith. When you are discarding your fear, setting it aside, or letting it go, you are discarding a piece of yourself -a piece of your soul. The path to ascension is all about gathering ALL THAT YOU ARE, whether transmuting your fears to faith, or simply reclaiming stagnant energy of past lives, it is all about retaining, reclaiming and gathering the wholeness that you are as a cosmic being. 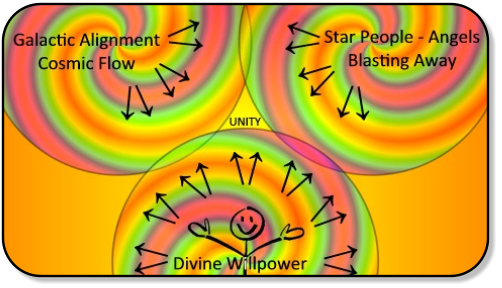 I hope this helps to understand how to contribute to the wholeness that we all are together, to reclaiming the wholeness that you are individually and to allow those lower vibrational frequencies within the responses of other individuals to fade away as it is their own responsibility to transmute and theirs alone! The best thing you can do is to offer unconditional love and a compassionate response to their cries for help, but there is a fine line between discerning between a cry for help and an attack and that is why I say the best response is to starve the negative energy of fuel until it fades as even offering assistance to another dear heart in this state can lead to fueling the fire. ..love Please consider “Sharing” this page with your friends and family. 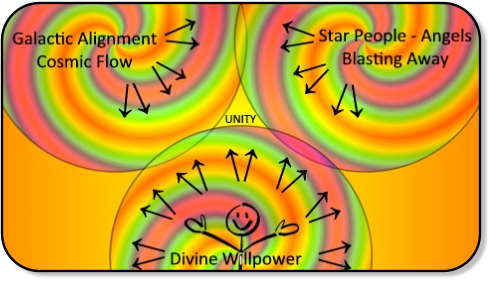 Or you can “Like” Divine Willpower at the top of the page.